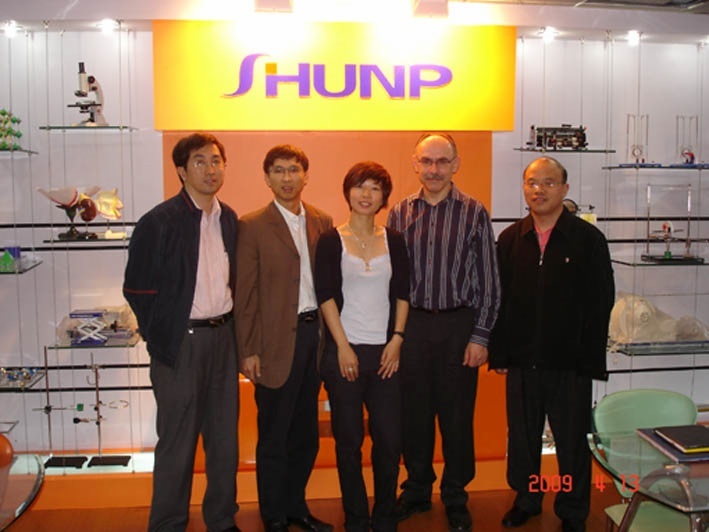 Mr. Leroy, his assistant Ms Lin and his colleague Mr. George Visited our company Nanjing head office in Apr.13,2009, Sales manager Mr. Gu (left No. 1) introduced the company profile and the achievement. The customers are very satified with our company and give a high praise. After check some exhibits and catalog, they placed an order to start the first business between us. Left No.1 Mr. Gu, No.2 Mr. Yin(General Manager)No.3 Ms Lin, No.4 Mr.Leroy, No.5 Mr. George.